I shall be demonstrating and running four workshops over the two days at the London Stationery Show at the Business Design Centre in Angel, Islington, London. I shall be exhibiting and selling my books at Turn the Page again this year. This lovely artist’s book fair has a fabulous atmosphere, a great location in The Forum which is based in the middle of Norwich, a city definitely worth exploring. The fair is open from 10am until 4pm on Friday May 17th and Saturday May 18th. More information can be found on the Turn the Page website. The day will comprise of an illustrated talk by David Jury an author, editor, and designer of books concerning typography, printing, graphic design and Book Art. There will also be a Book Arts Fair presenting a variety of emerging and established Book Artists who will be happy to discuss their work, with most works for sale. £20 for non members of the society, £15 for members. Please book early so numbers are known for the reception. I will be at this event on the Friday and Sunday, my work will be there on the Saturday but my body will be at another event! 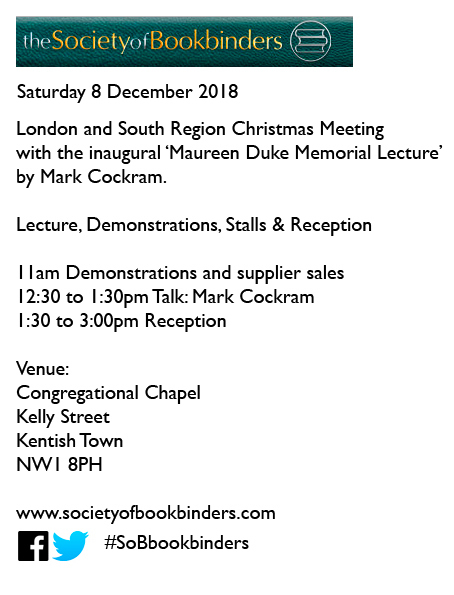 Exhibition and demonstration at the Society of Bookbinders London and South Region Book Arts Day. A five hour draw-a-thon with 39 artists raising money for Fabrica Gallery. 30 writers also wrote during the event.